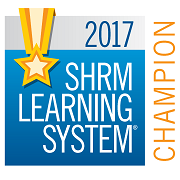 Green Bay SHRM - Employee Engagement – How to make training a want and not a have to! Employee Engagement – How to make training a want and not a have to! Joe Urbanski is the COO and Org Culture Strategist with the Total Solutions Group (TSG), a global strategic consulting and results-based training organization committed to driving the results that are Really Most Important™ in your culture, strategy, and capability. When it comes to empowering people and organizations, this goes way beyond motivation speaking. For nearly two decades, Joe has honed his dynamic consulting electrifying facilitation style performing for as many as 2,400 participants during full-day trainings, three-day retreats, and multi-year leadership development programs. He has delivered more than 560 onsite and online workshops for 420,000+ participants including executive leaders, corporate trainers, and everyone in between. 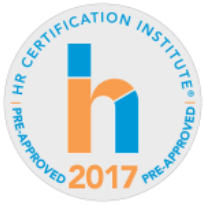 Joe is honored to be ranked among the top 8% of speakers in the Society for Human Resource Management (SHRM), the Association for Talent Development (ATD, formerly ASTD), as well as Training Conference. Along with The Total Solutions Group, Joe is the Director of the national nonprofit Collegiate Empowerment serving Higher Education, was one of SkillPath Seminars’ top-rated trainers, and has also worked with the internationally acclaimed motivational leader, Tony Robbins. Joe’s genius and passion for providing high-energy, interactive, engaging, and fun experiences within personal and organizational development is at the core of his appeal, while his entertaining style and simple approach make him a favorite at events across the country. Back at home in South Jersey, Joe is committed to being a Trophy Husband (as nominated by his wife) and the Best Dad in The Galaxy (as designated by his two kids), doing all the things with them that Mommy doesn’t want to see.